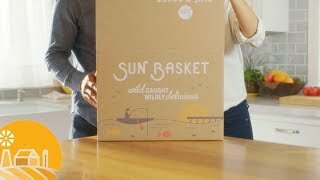 Sun Basket is inspired by the farm-to-table revolution and that was their single mission when they began. They are dedicated to serving many different diets, food preferences, and focuses on using organic, non-GMO, and natural ingredients. 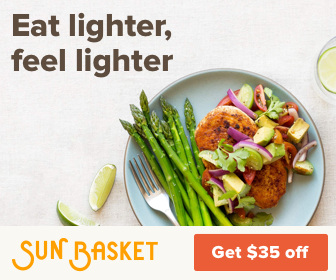 Sun Basket lets you choose from one of the biggest selections of meal plans. Menu selections include Chef’s Choice, Paleo, Lean & Clean, Gluten-Free, Vegetarian, Mediterranean Vegan, and Pescetarian. Family meals plans are also available and they truly have something everyone will love to eat every week. 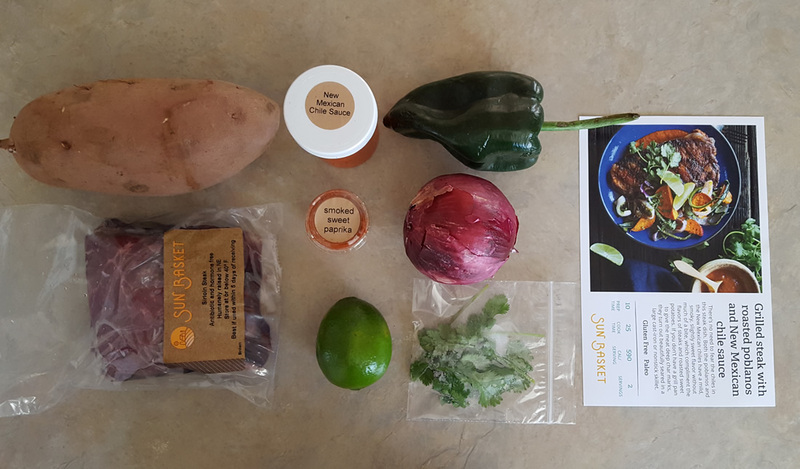 Organic, non-GMO meal kits delivered to your door straight from the farm. 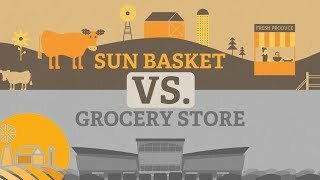 Who Would Sun Basket Most Appeal To? Sun Basket has one of the most extensive meal plan options and menus out of all the meal kits you can choose from. They have meal plans for Chef’s Choice, Paleo, Lean & Clean, Gluten-Free, Vegetarian, Mediterranean, Vegan, Diabetes-Friendly, and Pescetarian. They also offer Family Friendly Options in either their Chef’s Choice or Vegetarian plans. 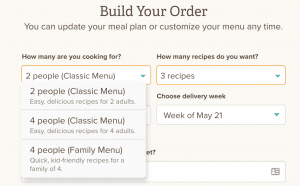 You can choose to stick with a certain menu, like Chef’s Choice, but you can completely customize your weekly orders since you can choose to mix and match meal from other menus as well. 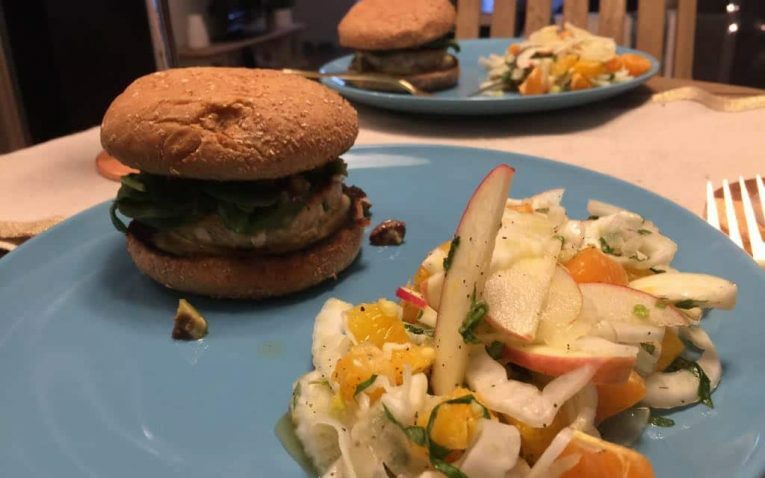 With so much choice and customization, you can choose between 18 different meals per week, which is substantially higher than most other meal kit services. When you first sign up, you will build your order. You start by selecting how many people – 2 adults, 4 adults or 2 adults and 2 children – entering your address, then selecting your meal plan. 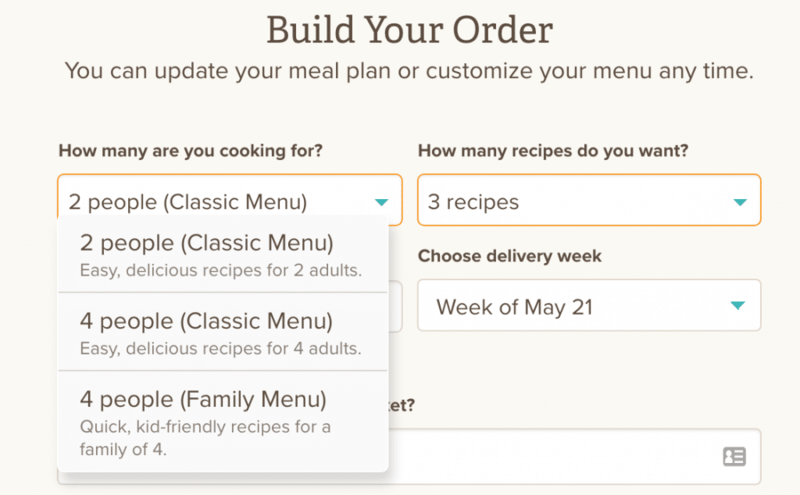 You will select 3 recipes each week for either the 2 adult or 4 adult plans, but can choose from 2, 3, or 4 recipes per week with the family plan. 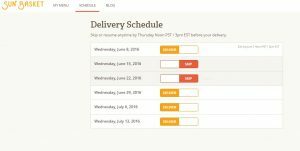 The only downfall we could find about Sun Basket's meal plans is the fact that Sun Basket only lets you order the number of meals per week based on the plan you choose. So, if you choose Chef’s Choice, you only get three meals per week. You can still up the serving count, but you are limited to the three meals. It would be nice if they could increase the number of meals per week – since some companies let you have anywhere from five to seven. They do however, cater to all of the main diets that are popular for people to follow, there are tons of food choices, and it is easy to find something even the pickiest eaters will love. 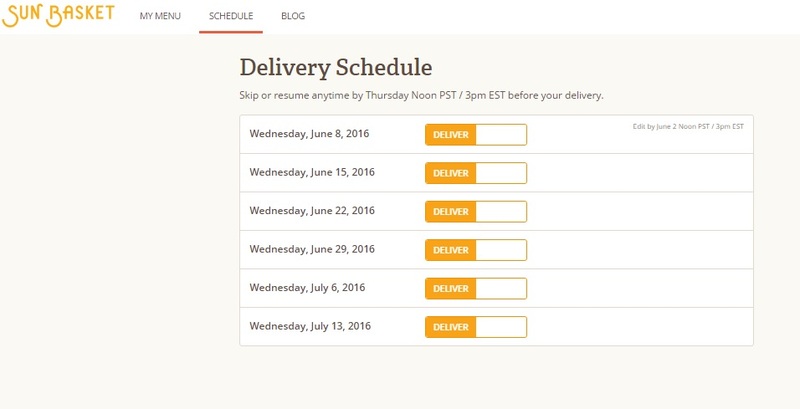 Based on the menu you choose, Sun Basket will automatically pick three meals for you. But, you can easily change these. If you don’t like what they’ve picked, you can swap out the selections and choose from the available menu choices for that week. There are no combination limits either – so you can pick and choose what you want. 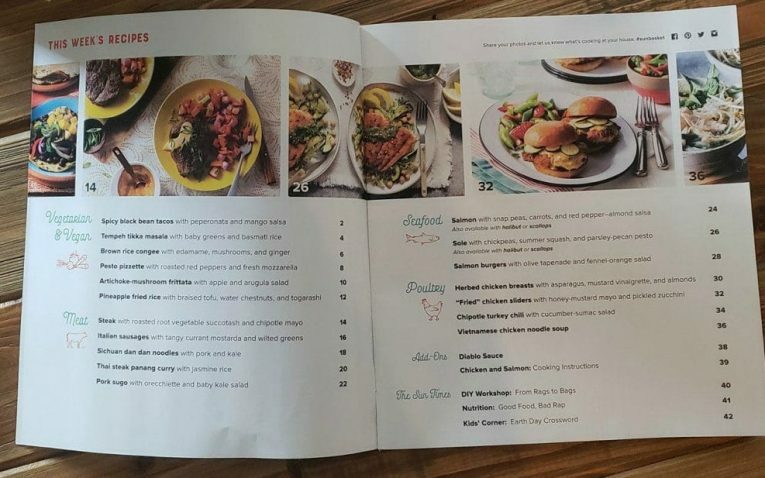 If you choose the Chef’s Choice option but cannot find something you like for that week, you can substitute any other meal option from one of their other menus. It is flexible and customizable. You can sub as many meals as you want as well. You can skip any week you want are there are no limits on how many weeks you can skip. You are even able to skip all of your future weeks if you just want to get a meal kit sporadically. This way you won’t be stuck with getting a basket if you forgot to skip that week. 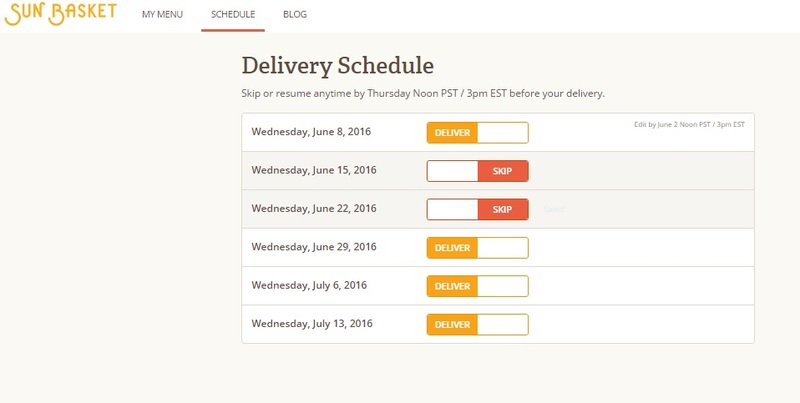 You can then review your upcoming deliveries on your dashboard to see which meals you are receiving or which weeks you have skipped. There are no contracts with Sun Basket. You can skip, cancel and move on any time you want. You just need to cancel before the finalization of next week’s menu – otherwise you’ll have to wait another week to cancel. Again, there are no downfalls with your ability to customize meals and delivery options with Sun Basket. You can essentially do anything you want to make Sun Basket fit your taste preferences and delivery needs. 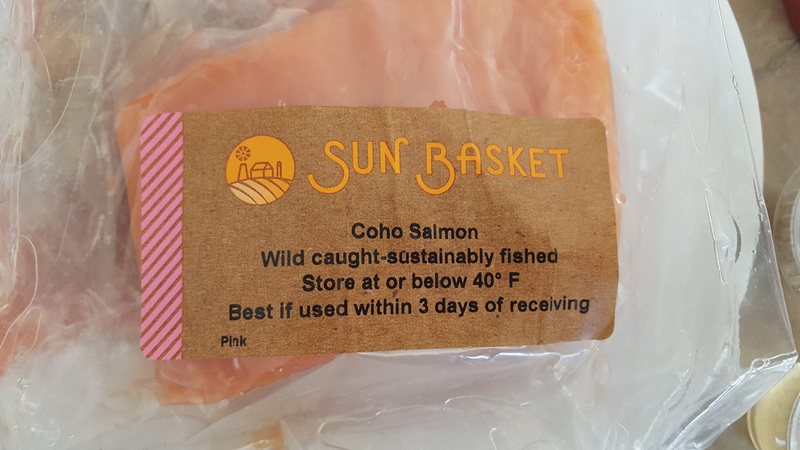 Sun Basket offers some amazing variety and quality ingredients. They aim to elevate flavors, limit prep time and expose you to new things – they are definitely all about experimentation. 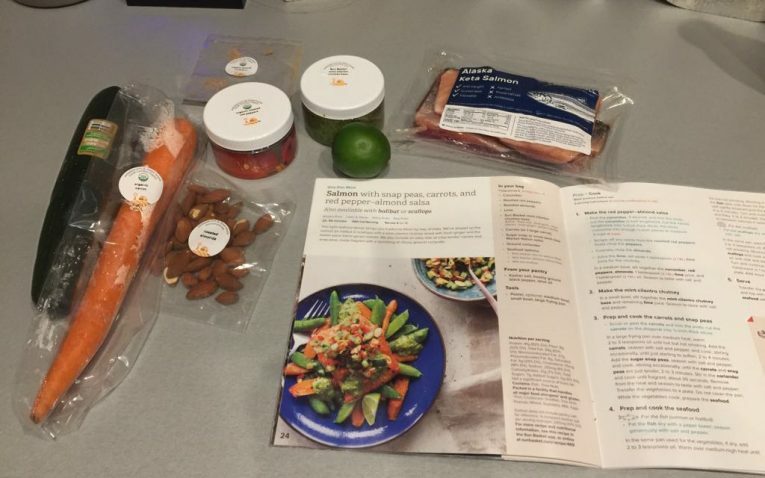 Just the three recipes I received in my first shipment were remarkable in terms of flavor. Such as cardamom jasmine rice and a rich ginger-tomato chutney or a steak with a super flavorful chile sauce. 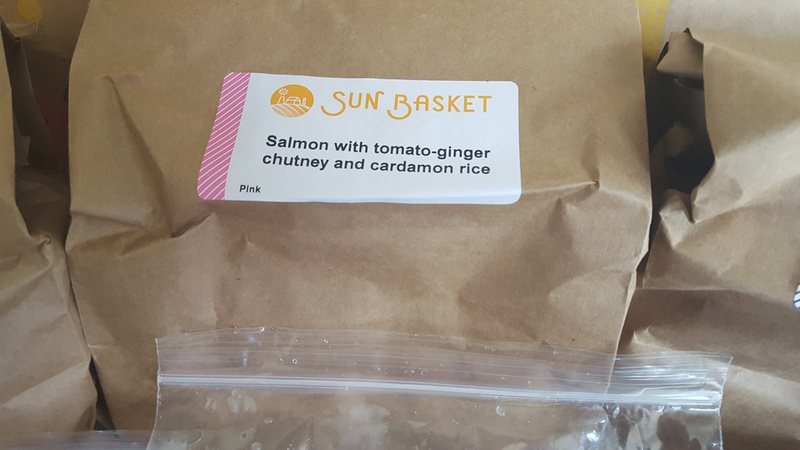 I have tried Sun Basket a few times and I have never had a bad meal with their recipes. They encourage a lot of experimentation with different ingredients you may not normally use and flavor profiles are unique and add a twist to normal ingredients. For instance, one of my meals in my last shipment was a take on steak and potatoes. 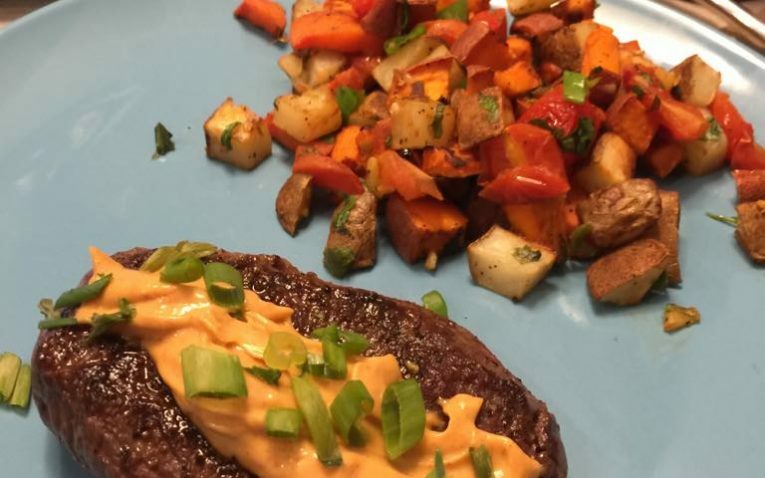 The steak was simply prepared with salt and pepper, but the addition of spicy and smoky chipotle mayo and scallions on top created a fun twist on a pan-seared steak. For the “potato” side they did a succotash of sweet potatoes, carrots, garlic, scallion, roasted tomatoes, and cilantro. Overall, the recipe options from Sun Basket are very impressive. I found it hard to pick just three I wanted to try – and each week when I took a look at their offerings, I was impressed at how many choices I had. 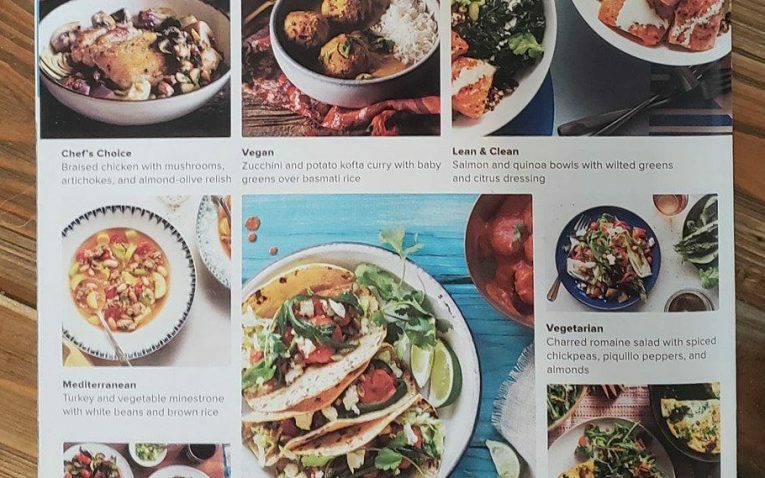 Sun Basket tries to combine very fresh flavors too, such as fried jade rice, peach tomato salads, mint-pistachio relish and even arugula pestos. I only had a couple complaints – one is that I wish you could order more than three meals per week. 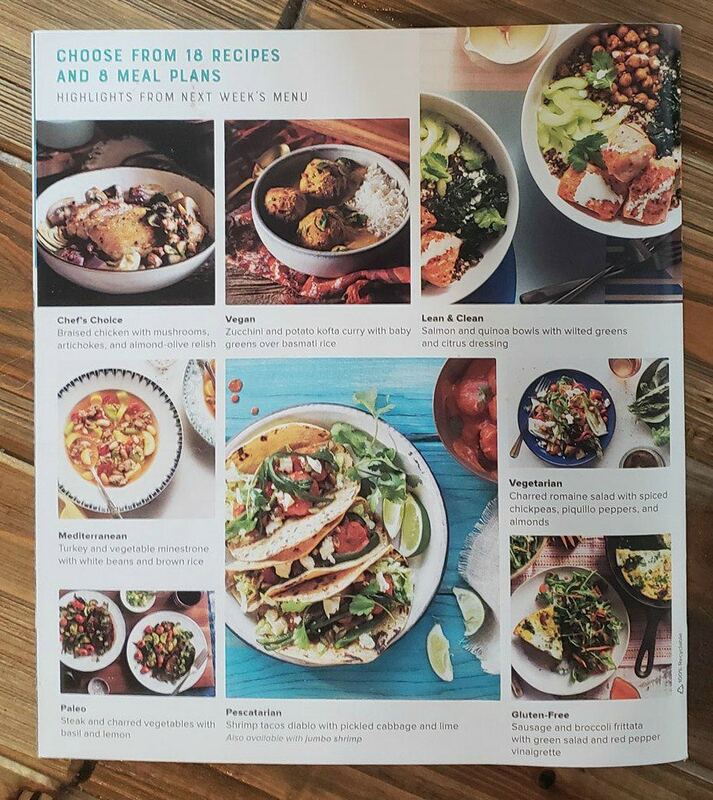 There are some great choices there and if they were more flexible, I think they would be surprised to see how many people up their weekly meal count just to try all the unique recipes they have to offer. 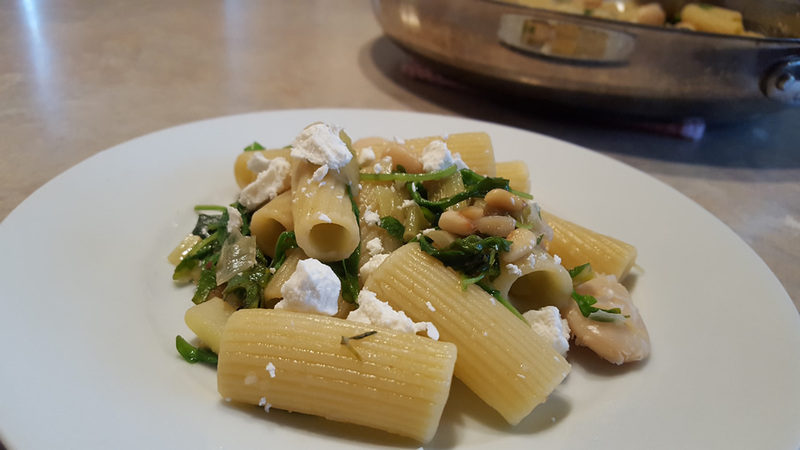 Two – on some dishes I had to add a few extra ingredients so they suited my tastes a bit better. 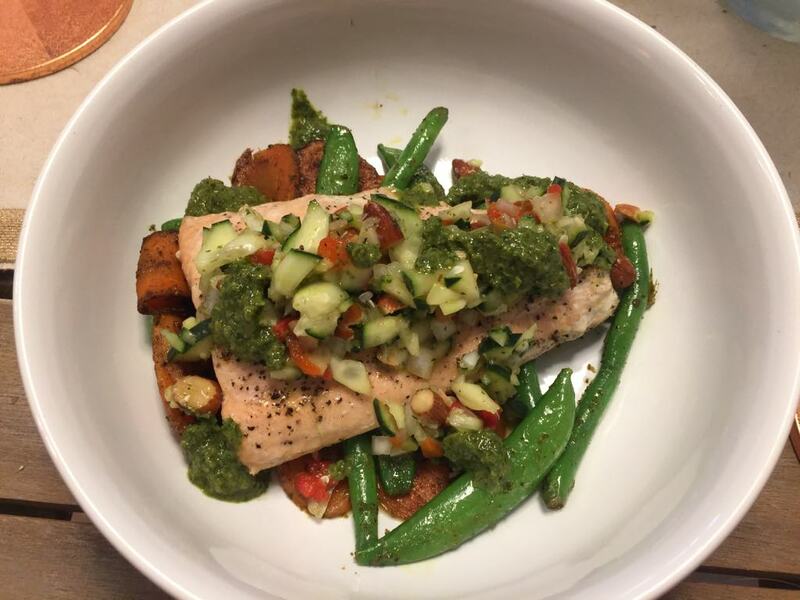 For instance, for their cucumber and red pepper almond salsa for my salmon dish, I had to add in lime zest and some maple syrup to their mint sauce base to give the pretty bland salsa a bit more flavor. However, that was just personal preference. Most of Sun Basket’s recipes have a low to mid-range calorie count – ranging from 500 to 800 per serving. 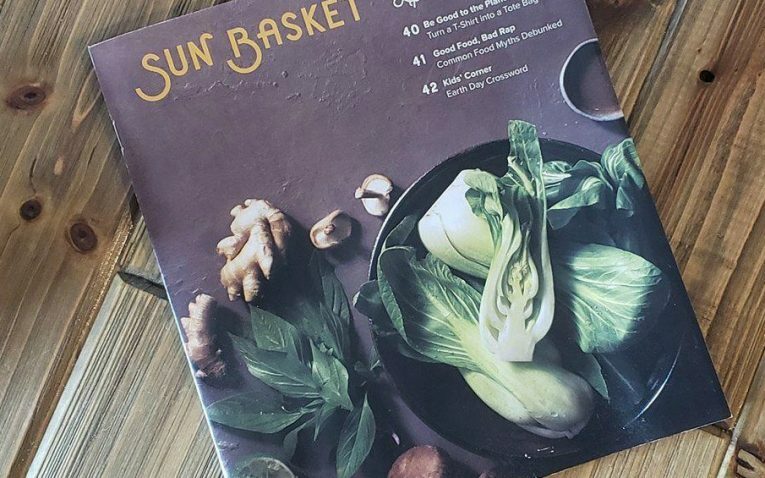 Sun Basket focuses on organic, non-GMO, and sustainable produce and ingredients. 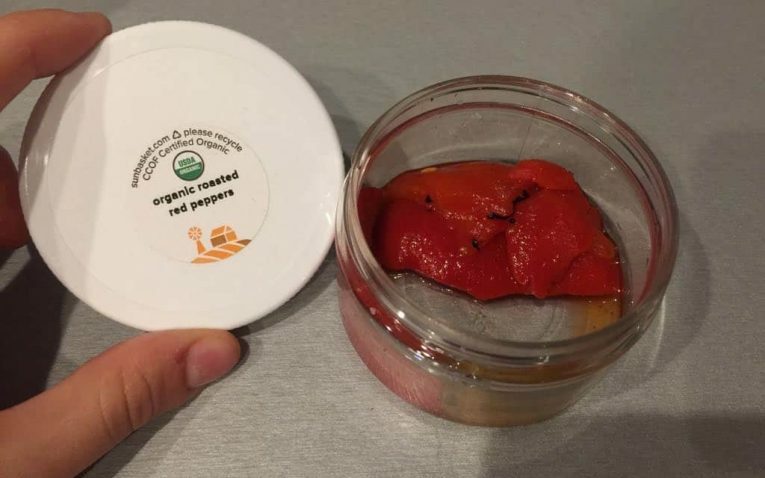 Produce comes from local US farms that are 99% organic and 100% non-GMO, which is a huge deal.They are a USDA certified organic handler and their ingredients have the USDA organic seal clearly on their ingredients. Meats and seafood are all responsibly sourced. They have wild caught fish, grass-fed and finished beef, antibiotic and hormone free meats as well. Turkey and lamb are pasture-raised, and they only used organic milk and yogurt, plus pasture-raised eggs.They also give you the option of organic chicken and pork in their meals as well. 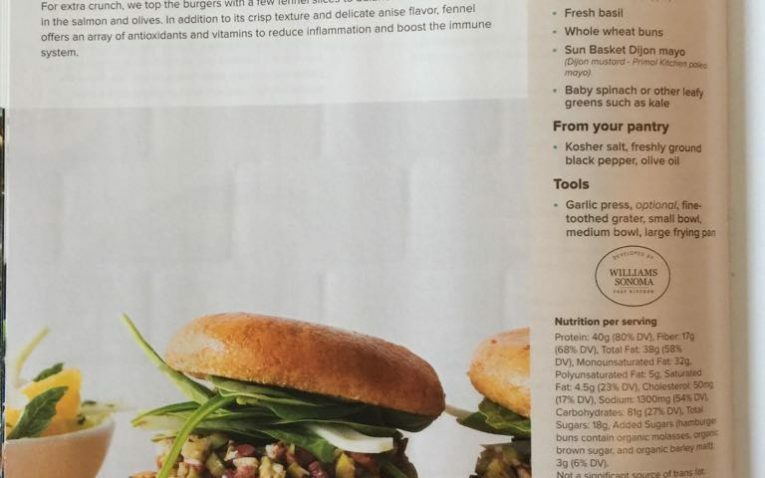 Detailed nutritional labels are included in their recipe book and on their website so you can see calorie count, fat, etc. before you order. 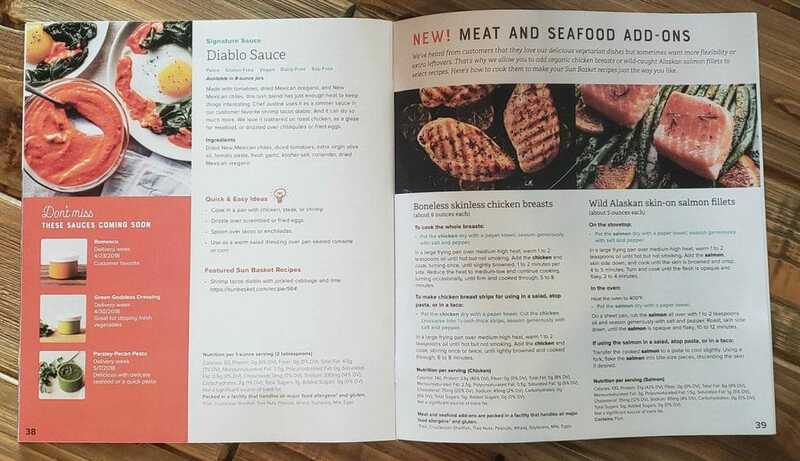 A super great feature is many of the recipes in their booklets tell you how you can save calories in your dish by eliminating certain ingredients, like added oils or butter. The only negative is that some of their meals are still a bit high in calories, but I have not seen a recipe exceed 840 calories. This number can be reduced if desired. 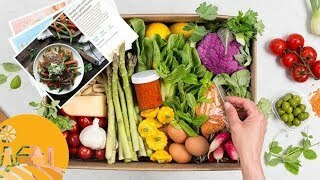 Many other meal kits have calories that well exceed 800 calories. Considering you get farm-fresh, organic, non-GMO ingredients, Sun Basket is extremely well priced. They don't have complicated pricing models either – For the classic menu, meals come in at $11.99 per serving and for the Family plan meals are $10.99 per serving. The classic plan allows for 3 meals per week and if you opt for the family plan you can choose 2, 3, or 4 meals per week. Shipping is Free for the first box, and then $6.99 per shipment. 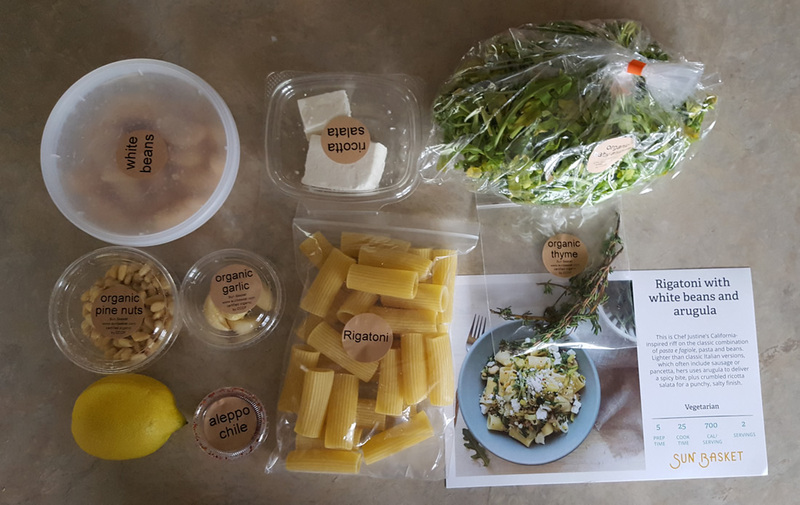 Pricing may be slightly higher than some other meal kits, but you are paying for higher quality ingredients so you can expect the price point to go a little higher. Want to see how Sun Basket recipes tested with us? Check out our taste test blog. Recipes are always delicious, flavorful, colorful, and beautiful! 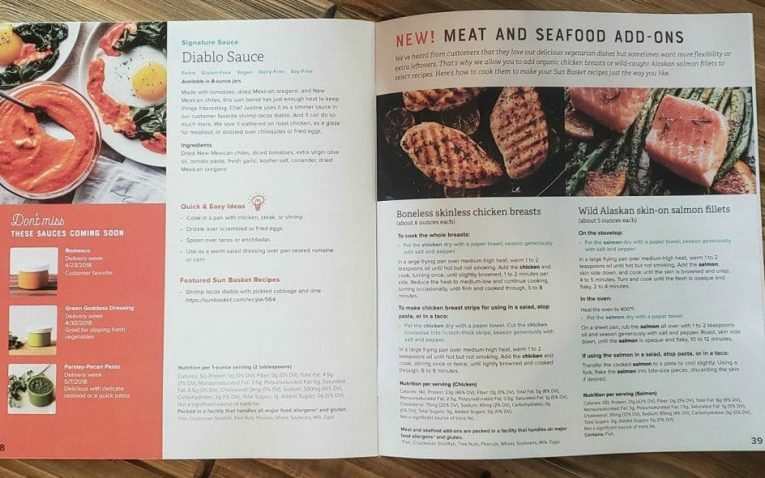 You now get a full color recipe book that contains all of their recipes for the week (18). This is a change from their original format where you received recipe cards for just the meals you ordered. This provides you with the option to recreate any of the meals from Sun Basket, not just the ones you ordered! 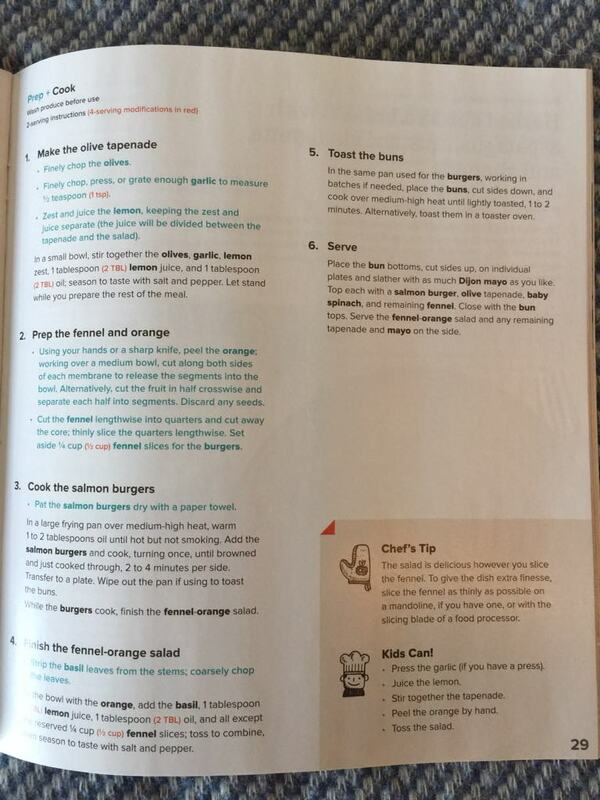 They have a picture of the final dish, but they do not have step-by-step photo instructions. They have a description of the dish, how long it takes to prepare, calorie count, and servings. They have a full nutrition section, what you get in your bag to prepare the meal, what you need from your pantry, and the tools that suggest you use while cooking. They provide numbered steps on how to make your meal with good detail so you know what you need to do despite the lack of images. Another cool feature is they have a little tip section what has Chef’s Tips, things kids can help with, how to reduce the calories in your meals, market watch information, how you can prepare the dish ahead of time, and ingredient IQ. The only negative is the fact that there are no pictures in the instructions. Although it is not necessary, having pictures is always nice and makes it easier for follow for some people. People who are newer to cooking generally benefit from detailed picture instructions. 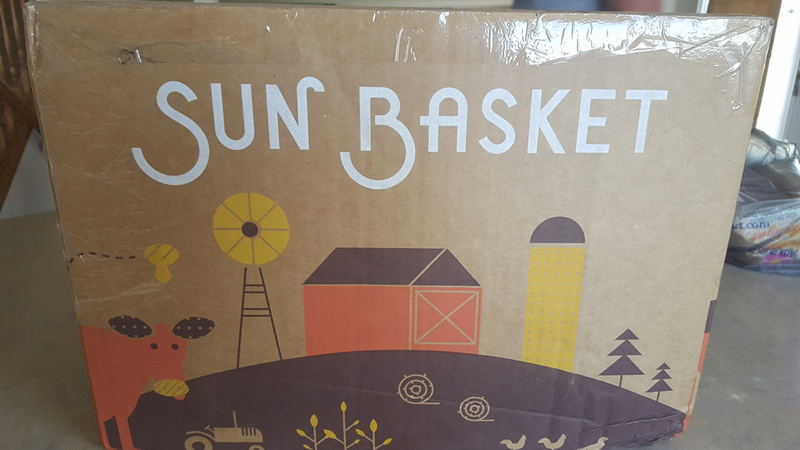 Your Sun Basket comes in a well marked and refrigerated box. The box is thick and sturdy and you will not have to worry about any packaging issues. 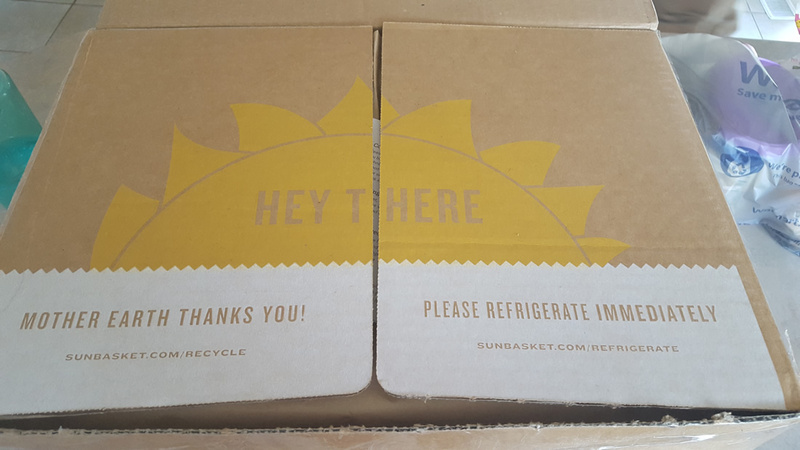 When you first open your Sun Basket box, they remind you to recycle and even have a link of where to find recycling information on their site. 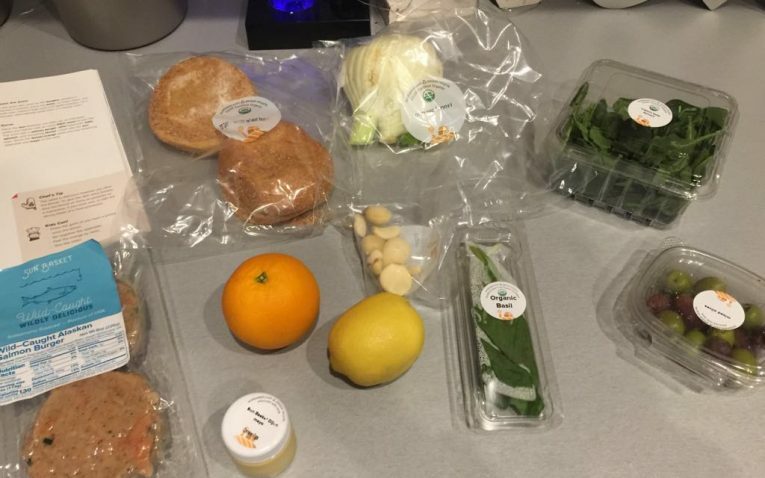 While this may not be a big deal to some, if you realize how much waste meal delivery kits create, recycling and caring about reducing waste is great. They even use ice packs that can be reused. The liner for Sun Basket is thick and very impressive. 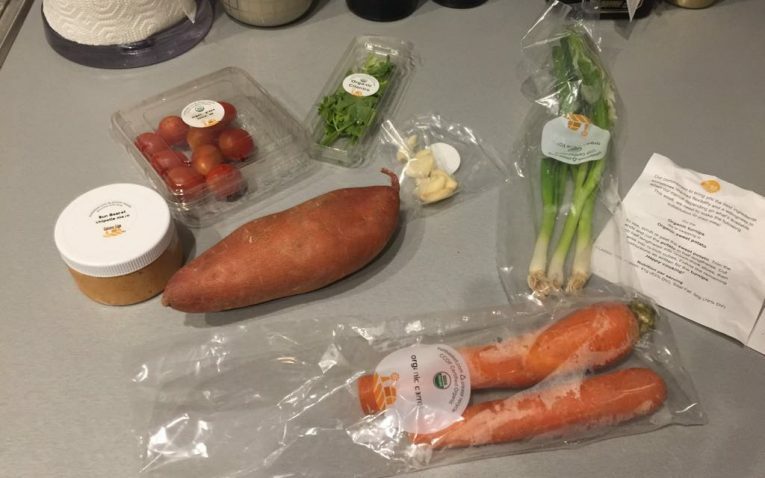 The ingredients are divided into separate labeled brown bags so ingredients are all in one place and easy to store in your fridge. The meats, fish, and dairy are stored in the bottom of the box with a bunch of frozen ice packs to keep them perishables fresh and chilled. Even after letting my box sit out all day, the ingredients were still perfectly chilled. Sun Basket also puts their ingredients in small plastic containers inside the brown paper sack. This makes it convenient for storing in the fridge, but also getting out the ingredients. 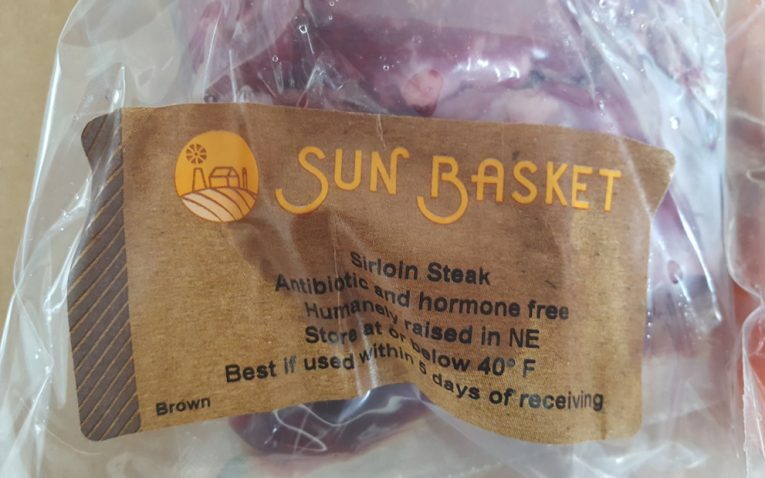 All of the meats from Sun Basket are clearly labeled. This is definitely something to keep in mind – because there are a few companies that don’t label the meats (and it can be hard to tell which is what). 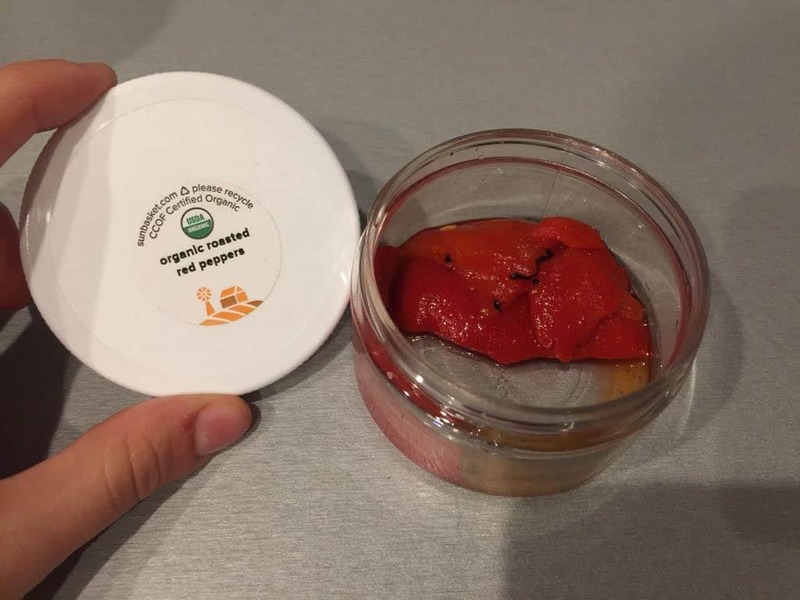 They use their own labels, but also indicate the storage info, the fact they are organic and even a “best if used by” date. 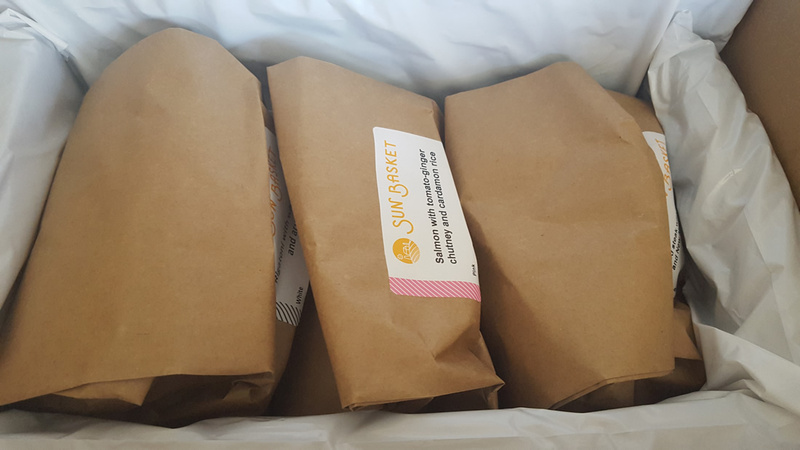 All of the meats were double bagged with Sun Basket too – so even if the initial vacuum seal leaked, there was a secondary bag to catch it all. Nothing. Sun Basket did an excellent job with their packaging. Meals are delivered every week unless you choose to skip a week. 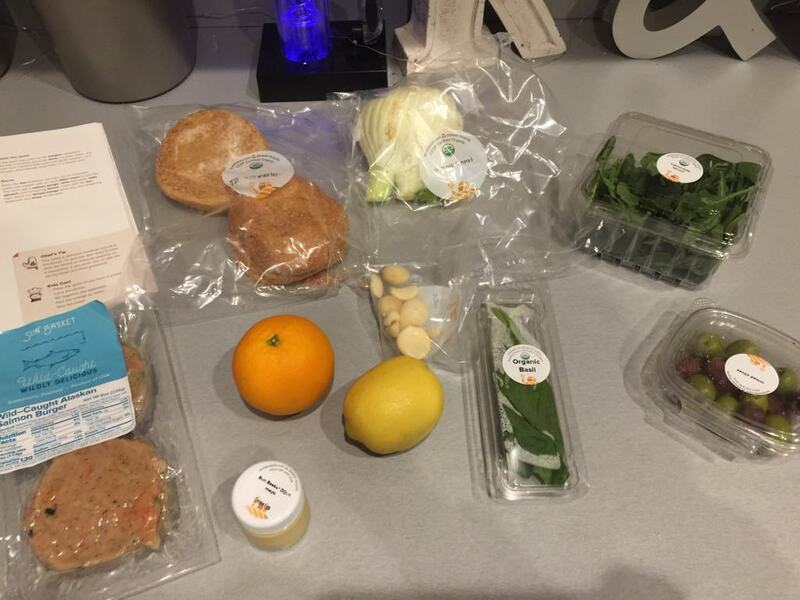 All of your meals are shipped at once in one single box. They ship during the summer as well and shipping is free on your first order! 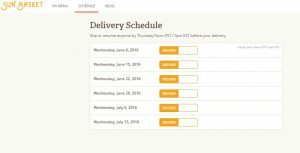 After your first delivery, Sun Basket charges $6.99 per delivery regardless of how much you order. Most companies offer free shipping if you at least order three meals per week or a certain number of servings. 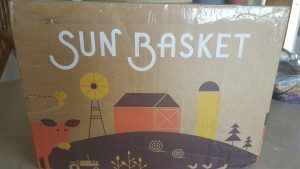 Sun Basket ships to 47 states. Right now they do not ship to AK, HI, MT, and parts of NM. Gifting is easy with Sun Basket meal kits. You can choose to send a gift card in a specific amount of money for your recipient between $60 and $2000. You can also choose a preselected amount of $80, $160, and $240. Once you have your amount purchased you have the option of a printable PDF or just sending the gift card through email. The only slight drawback is you cannot gift your recipient an actual box where you choose the recipes for them yourself. Some people may like the ability to send a preselected box. They have an email and phone number listed right on their website through their contact page. Hours are M-F 6 am to 6 pm PT and Saturday and Sunday 9 am to 5 pm. They have a 100% money back guarantee for any issues that happen with your box. You must contact them within seven days of getting your box. Sun Basket does not have a live chat, which would be a really positive and helpful feature. It would be particularly good because it takes a long time to hear back if you send them an email. I sent two emails with some questions and both times it took 2-4 days for a response, which is a very long time to wait for an email back. I also tried to call to get a quicker response and the first time I just got a busy signal and had to call back before I got through. All plans come with free shipping on the first order and then $6.99 per shipment after that. 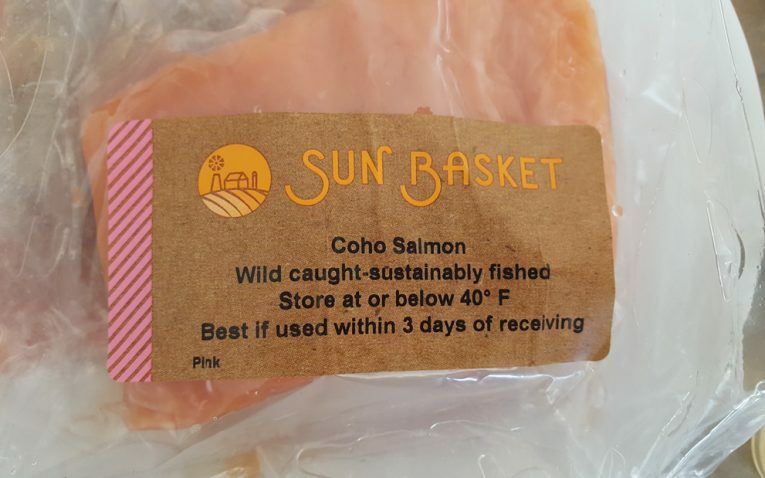 Sun Basket offers two different box choices. Chef’s Choice: Enjoy three meals per week of chef-inspired recipes. Includes beef, chicken and seafood options. 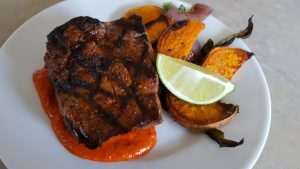 Paleo: Three meals per week that are free of grains, soy, corn, dairy, and gluten, with plenty of lean meats and seafood, organic produce, and housemade sauces. Gluten Free: Get three meals per week that include completely gluten-free recipes featuring top-quality meats and seafood, organic produce, gluten-free grains and pasta, and housemade sauces. Vegetarian: Three Meatless recipes each week emphasizing seasonal organic produce, nutritious plant-based proteins, and housemade vegetarian sauces. Mediterranean: Enjoy seasonal produce, lean meat & wild-caught seafood paired alongside whole grains, healthy fats, and fresh herbs. Pescatarian: Combine the benefits of a vegetarian diet, rich in seasonal organic produce, with an added dose of wild-caught, sustainably sourced seafood. Lean and Clean: Manage your weight and feel great while getting 3 delicious meals high in protein and fiber, with no gluten, dairy or added sugars. Around 550 calories per serving. Novice. All this recipe requires is pan searing the steak, cutting up veggies and herbs, and mixing ingredients together. There was nothing hard or complicated about the recipe and I am confident a beginner could make this meal. The only tricky part may be cooking the steak, but a meat thermometer can help cook it to the perfect doneness. Novice. 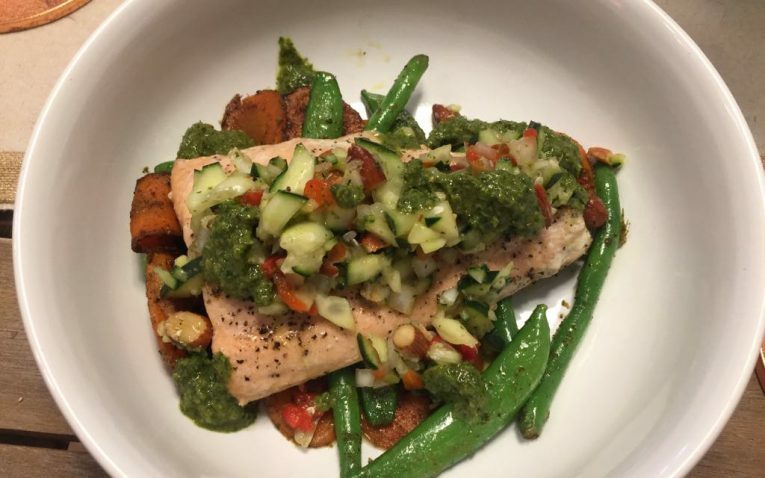 Again, this dish was just cooking the salmon per the instructions and cutting up some veggies and herbs. Then it was just a matter of mixing, stirring, and plating ingredients. Novice. 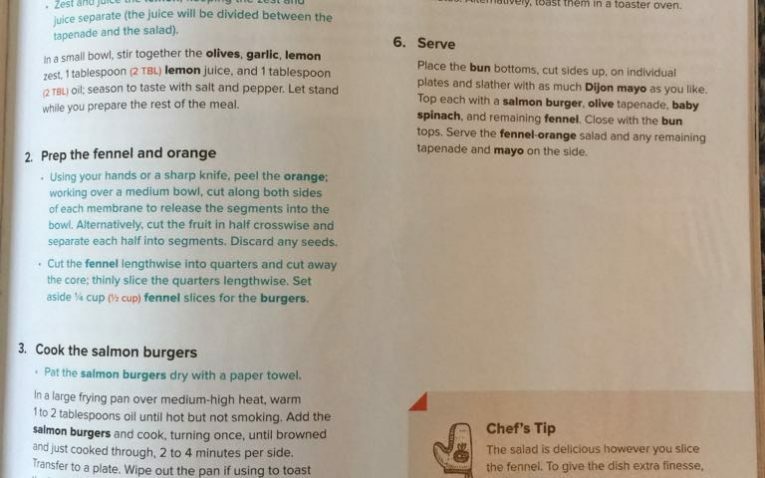 The burgers were already mixed together so all you had to do was cook them per the instructions. The rest of the ingredients just needed to be chopped and mixed together to create the other elements of the burger. 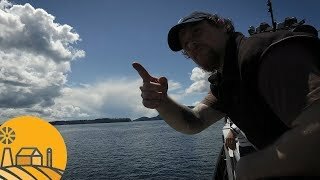 This is great for individuals, couples, and families. There is a huge variety of delicious and healthy meals that will cater to all different tastes. 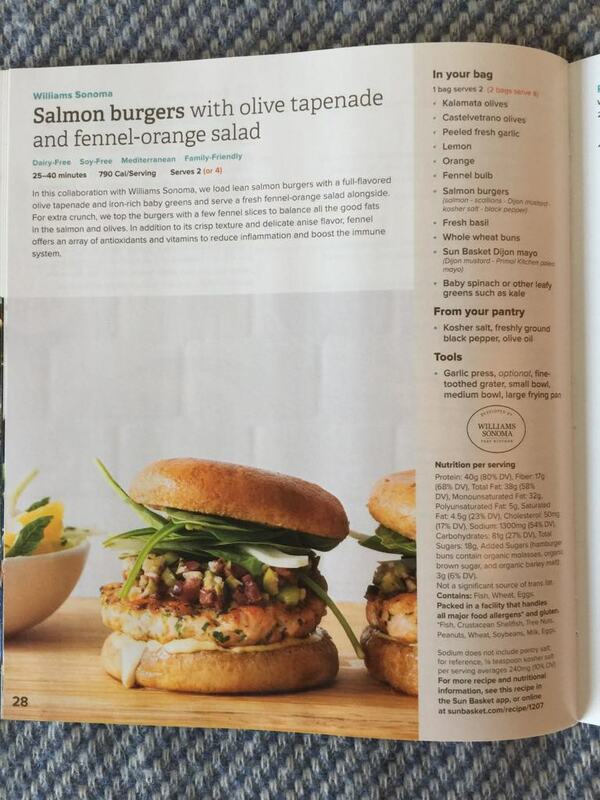 The family plan features kid-friendly recipes, but are still meals parents will enjoy as well. With so many plans for different diets, even people who are gluten-free, vegan, paleo, etc., can enjoy healthy and delicious meals. 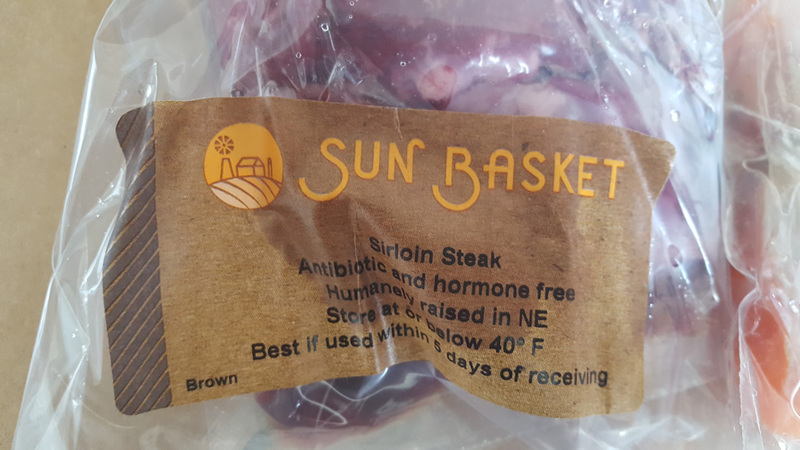 People who are concerned about the quality of ingredients they use, and want organic, non-GMO, and the highest quality meats and fish will also want to use Sun Basket. They use their best quality ingredients possible, like organic produce, organic sauces, organic chicken, grass-fed beef, wild caught fish, organic milk and yogurt, and pasture-raised meat and eggs. They have customizable and extremely flexible meal options. 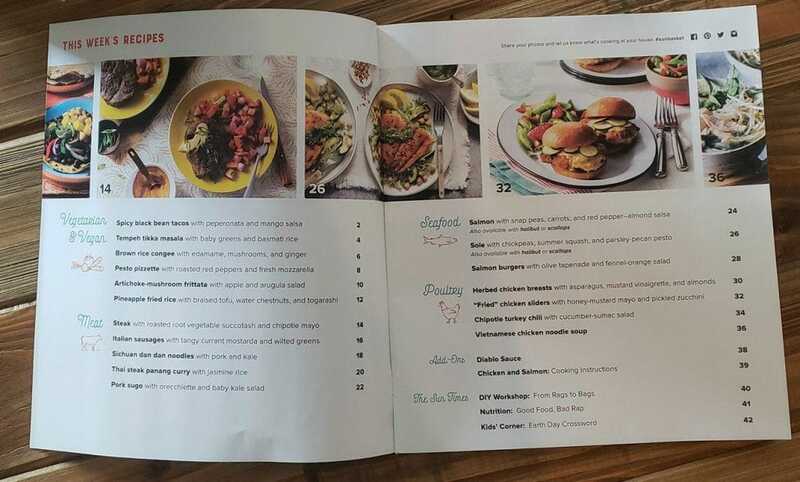 You can choose meals from any of their menus, which total a whopping 18 meals to choose from per week. You can also skip or cancel anytime you want. Shipping is free on your first order, they ship in the summertime, and their meals always arrive perfectly chilled. 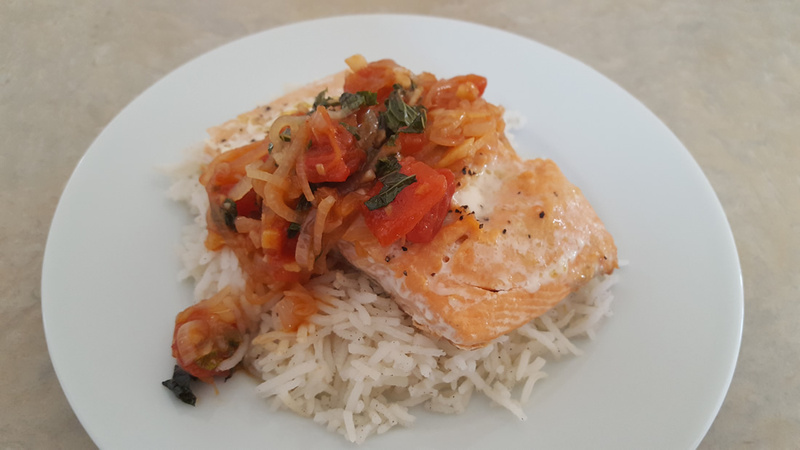 Recipes are healthy, simple, easy for beginners to make, and the food is absolutely delicious. They have flavors and ingredients you probably do not use that often, so you are getting a really special and unique meal and flavor experience. 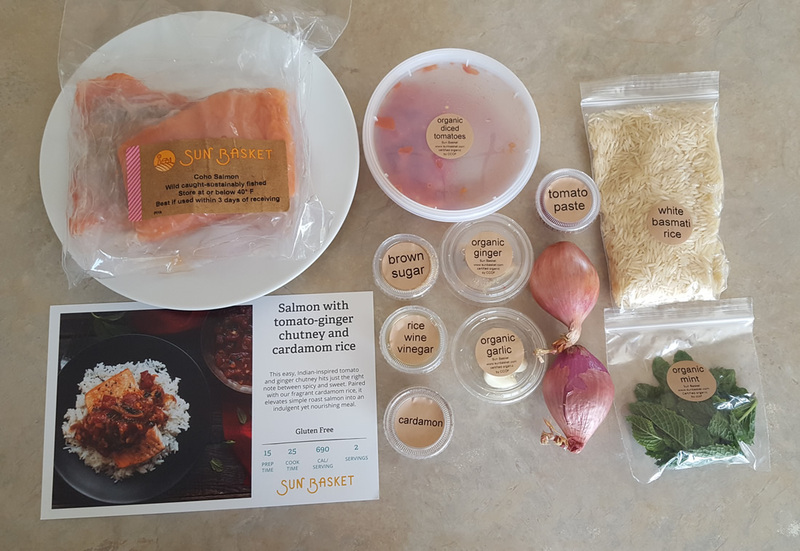 Instead of just having chef-created meals, Sun Basket takes it a step further to create recipes with the help of a nutritionist. That way their meals are perfectly balanced, but also certain dietary constraints (gluten-free, vegetarian and Paleo for example) still get quality meals and nutrition. When you consider the quality of ingredients, the fact that everything is organic and non-GMO, you are paying a remarkable per serving price of just $11.99 per person. Produce, meat and dairy is all bought from the source directly – and we’re talking the farm, not the distributor. So, you get produce that is crispier, meat that lasts longer and dairy products that are at the height of freshness. Sun Basket is not just there to enjoy the profits. They are all about sustainability and being involved in their community. Each week, they donate about 1,000 pounds of food to two local organizations in their home state to help fight hunger. Sun Basket charges $6.99 per shipment after their introductory offer. While there are companies out there that charge shipping, most only do so if you only order two meals per week. 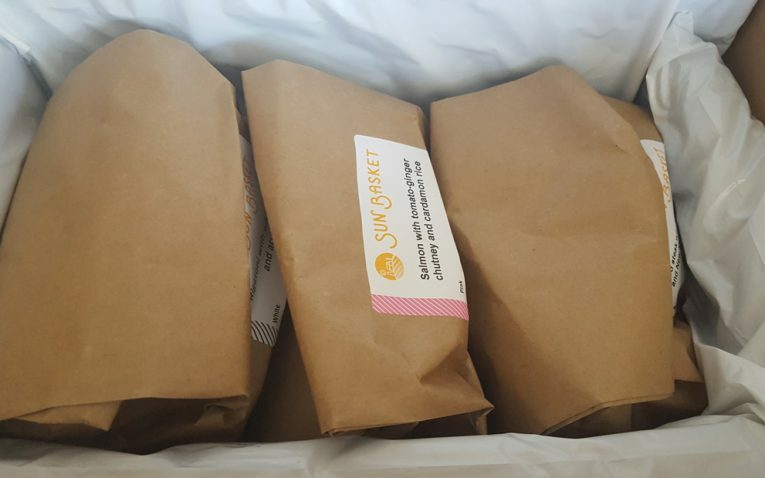 With three meals each week, Sun Basket is still requiring a delivery fee. I don’t like that Sun Basket does not have a live chat. This would be a good feature for them to get since they are very slow at responding to emails. I also had an issue with one of my meals. 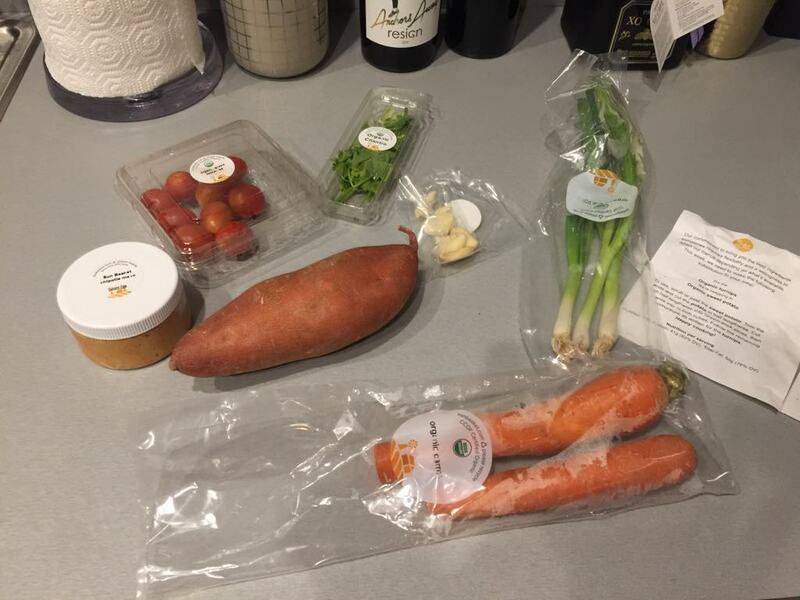 The salmon and snap pea dish arrived without any snap peas, snow peas, green beans, or anything equivalent. Someone did not do their job properly and this was a pretty big oversight. Fortunately, I just bought snap peas from the store that morning and was able to use my own, but if I were short on time or didn’t live close to a grocery store, this would be a huge issue. I emailed their team about this issue and have yet to hear back 2 days later. Update: I did finally hear back and they issued me a partial credit for the missed snap peas. Overall, I personally feel that Sun Basket is the best meal kit available. 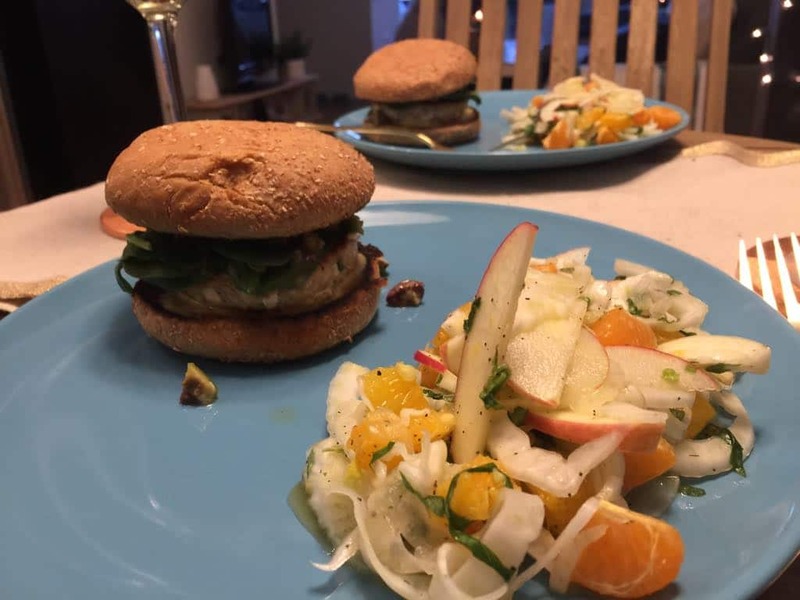 Their food is incredible, it is unique and experimental, it is healthy, and their use of organic and non-GMO ingredients fits into my lifestyle incredibly well. 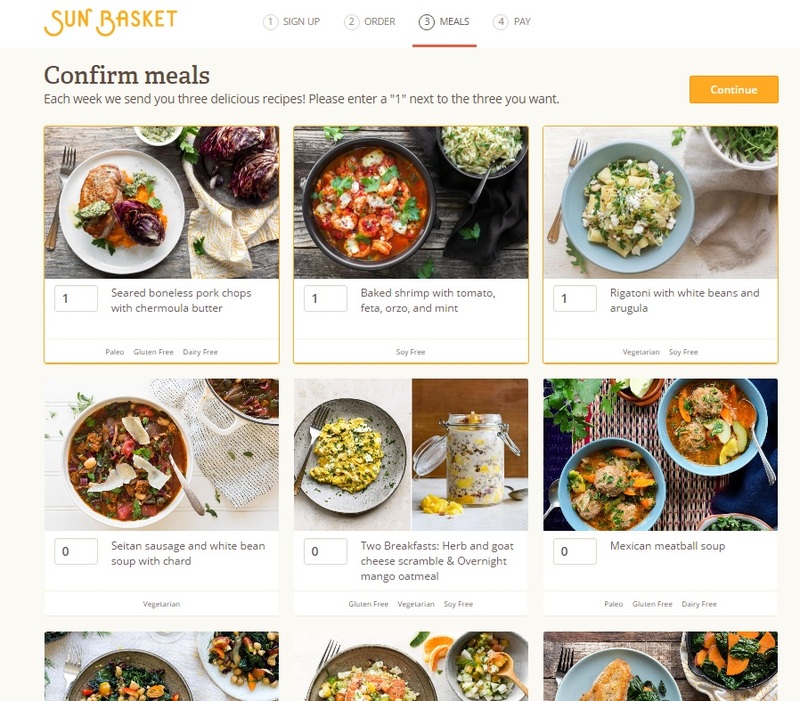 With so many meals and menus to choose from and customization options, Sun Basket has basically everything you want in a meal kit service. 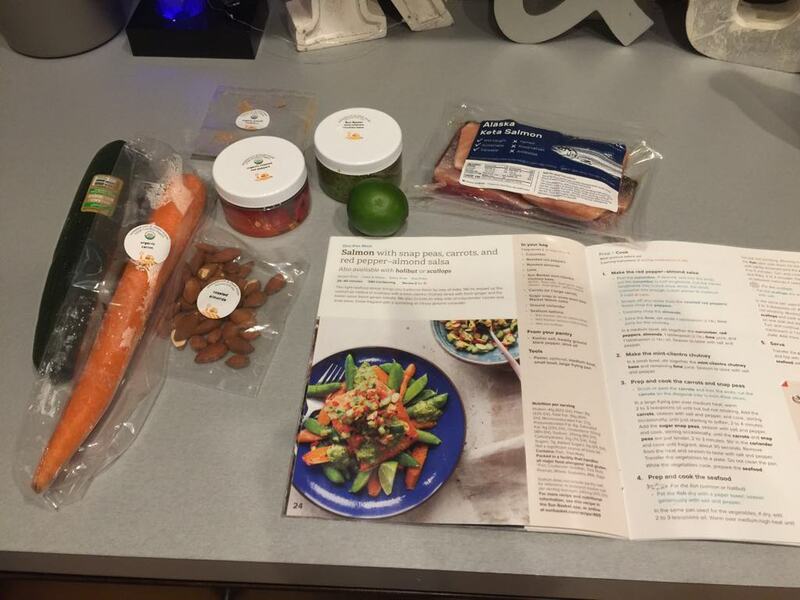 I would recommend this meal kit to anyone looking for great food and organic ingredients. It is great for anyone, including families with their kid-friendly meal plan, and people on special diets or who have dietary restrictions (i.e. gluten-free). 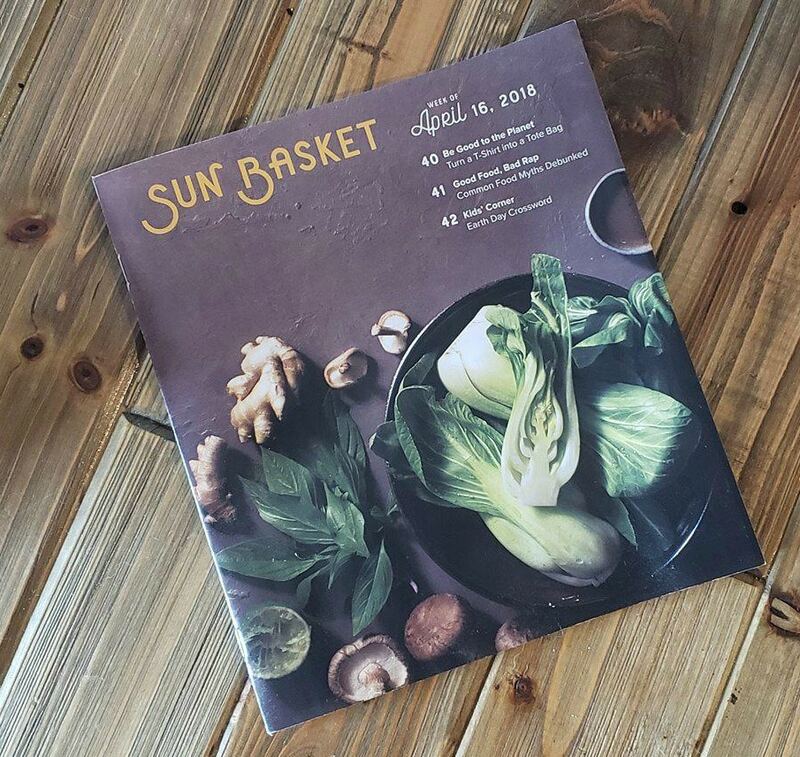 Sun Basket is a meal kit I would order again and again and feel completely content with my meals and ingredients! One of the largest selections of meal plan available. Ability to skip any week you want. Focus on organic, sustainable, non-GMO, natural, and healthy ingredients. No live chat on their website. Customer support through email is slow. Slightly more expensive than other meal kit services.